Located in Northern Cambodia within a gigantic area of 400 square kilometers in total, Angkor Archeological Park is the largest religious monumental complex in the world. Declared UNESCO World Heritage in 1992, the complex was built by King Suryavarman in the 12th-13th centuries. How this grand masterpiece with impressive scale and sophisticated artwork details was built remains a myth for archaeologists. 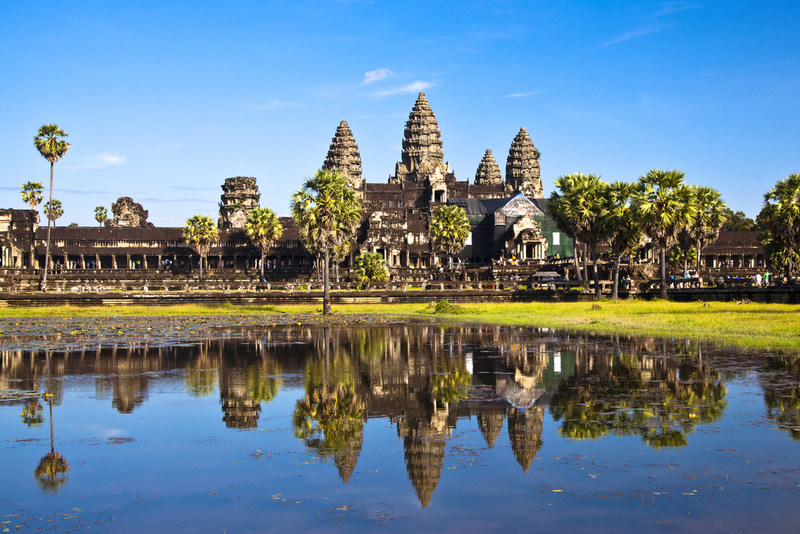 Travellers from South East Asia must not miss the experience of travelling to Siem Reap to visit Angkor. 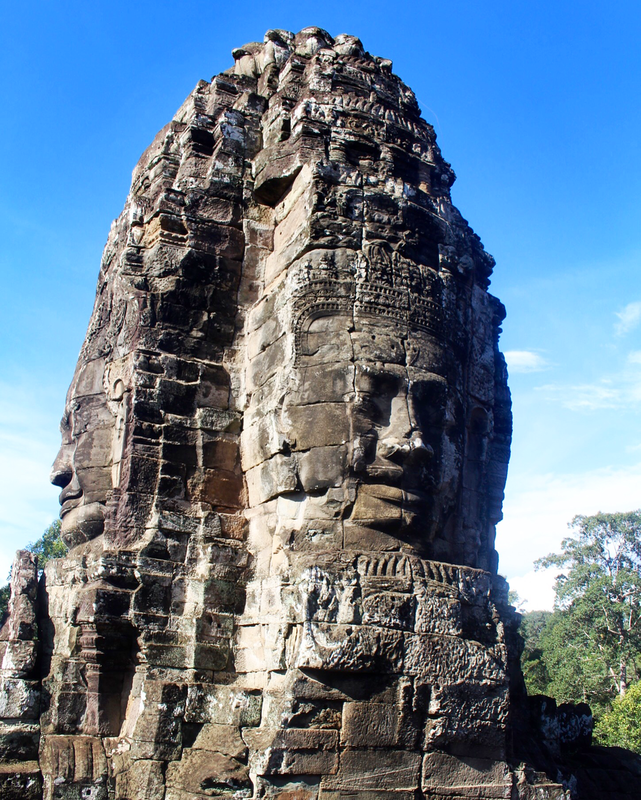 Below are important things you need to know about Angkor and how to get to Siem Reap. The first impression anyone must experience as soon as they walk in an Angkor temple is a thrill, a pause, a shock or simply being overwhelmed by the spiritual atmosphere preserved within this massive area. The Angkor complex itself consists of hundreds of temples and monuments, including Angkor Wat – what people usually refer to Angkor as. Angkor is famous for its incredible size and untouched beauty, and hence you must choose to visit wisely. Start early in the morning to ensure your valid day pass is used completely. 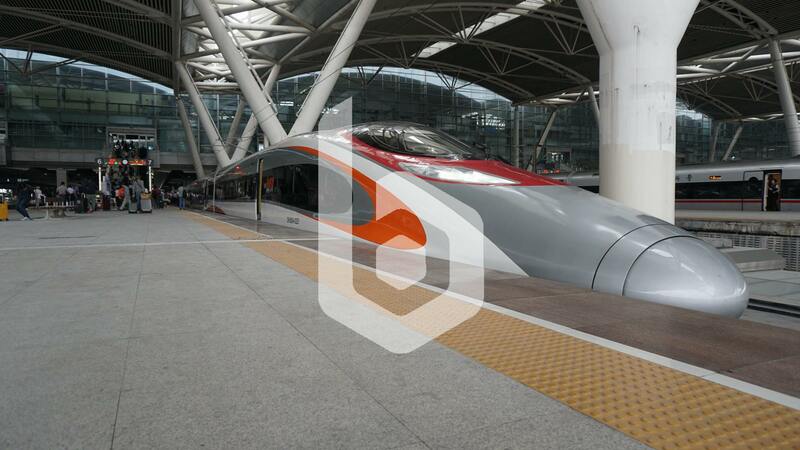 The most common day pass, which is valid only on the date of purchase, costs 37 USD. It will take more than a day to see the whole of Angkor, but a day is enough to visit the most important sights. 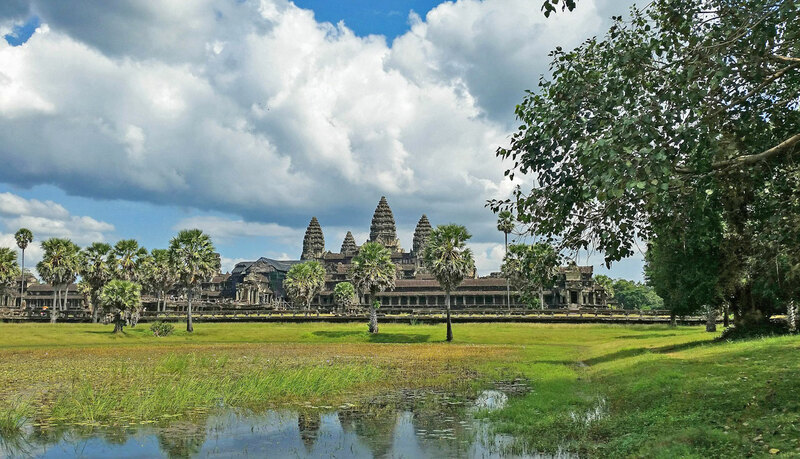 Before travelling to Siem Reap, it is important to understand that Angkor is the heart and soul of the Cambodians, and by all means their national pride. Hence, make sure your shoulders and knees are covered when you enter the temples. Entry and exit to Angkor Wat can only be done from its west gate. Angkor was previously a city – the capital of the Khmer empire, rather than a temple complex as it’s known nowadays. Among more than a thousand tremendous temples, below are the most important and impressive ones. Known nowadays as the world’s largest religious building above all, Angkor Wat was built by thousands of craftsmen, workers for almost 40 years during the early 12th century. Angkor Wat is the most famous and crowded temple in the complex, so avoid heading in the peak hour. The last capital of the Khmer kingdom was a fortified town surrounded by walls and moths, allowing access only through the main gates or entrances. You will find the image of Angkor Thom on some notes of the Cambodian Riel. This temple is widely known for Figs, Banyan and Kapok trees with massive roots spread all over the structures, walls and terraces around Ta Prohm. The untouched monumental ruins strongly attached to these unrealistic looking roots remains a tempting mystery. There are plenty of spots in Ta Prohm to get a panoramic shot of the temple. Located within the archeologic park of Angkor, Bayon is probably the most impressive temple of all with a total of 54 towers, representing 54 provinces of the Khmer kingdom. From a distance, Angkor appears only to be a gigantic mass of stone. But once you get close up, you will notice a series of elevated towers covered with a complexity of symbolic artwork details. One must imagine herself as an archaeologist, spending time browsing through the complex’s outdoor galleries to investigate thousands of characters and symbols, so as to understand somewhat a little of the Khmer people’s lives throughout a history of wars and empires in order to grasp the exquisite beauty of it. Angkor is located about 6 kilometers or 20 minutes to the north by car from the center of Siem Reap. One of the most popular ways to visit Angkor is with a local tuk-tuk driver. Almost every tuk-tuk driver knows where to get your tickets, and knows his way around well enough to show you the best of Angkor. It’s also recommended to rent an electric bike or bicycle. Keep in mind that Siem Reap during the dry season is too hot and sticky, and it may take hours to cycle around Angkor. Be sure to make your way back to the entrance by sunset. 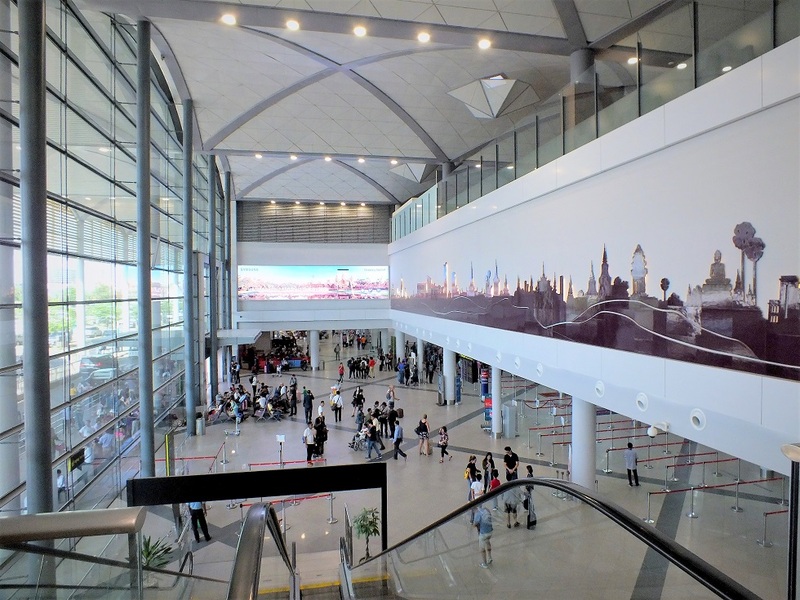 Besides domestic flights from Phnom Penh and Sihanoukville, Siem Reap is easily accessible by air from Vietnam and Thailand. 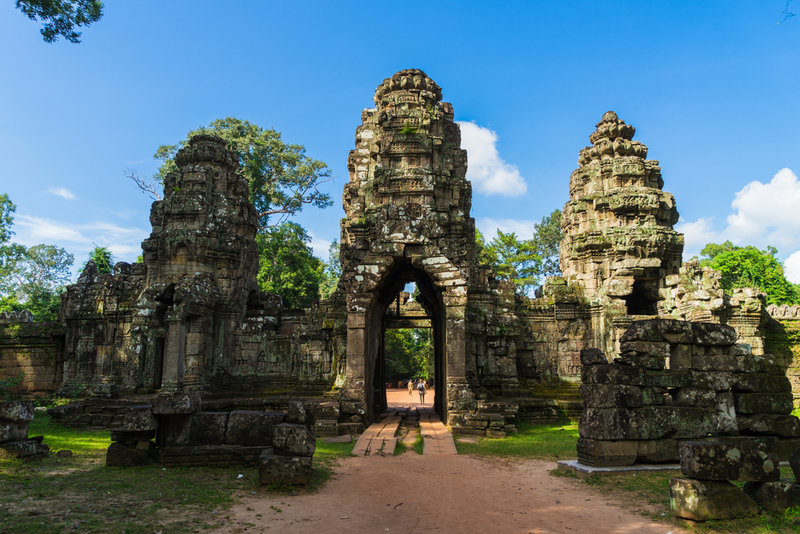 Vietnam Airlines and Cambodia Angkor Air operate daily flights from Ho Chi Minh to Siem Reap. 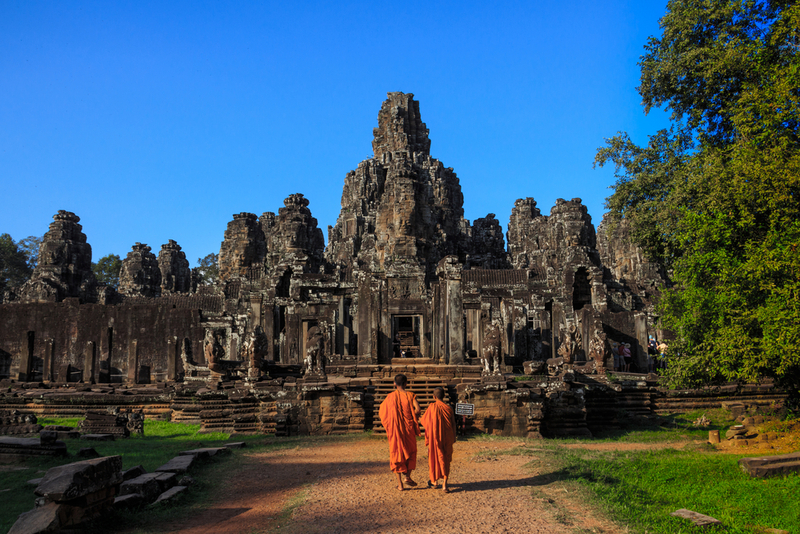 VietJet Air operates a direct route from Hanoi to Siem Reap. Bangkok Airways, Thai AirAsia, Thai Smile Airways operate daily flights from Bangkok to Siem Reap. If you are already in Cambodia, there are plenty of local bus routes from Phnom Penh, but Siem Reap is also connected by road to Vietnam, Thailand and Laos. Bus rides are long, taking many hours including transit, but in exchange it’s much cheaper and you can enjoy the countryside landscape. You can get to Siem Reap from Ho Chi Minh via Phnom Penh, from Bangkok via Poipet, and from Pakse via Stung Treng. In case you need a visa to access Cambodia, be sure to bring along passport photos and enough cash in Dollars.